HackerRank Tests integrates with Jobvite to trigger HackerRank Test invites directly from Jobvite. Recruiters managing Candidate profiles in Jobvite can use this integration to carry out a seamless and efficient Candidate skills assessment for different requisitions without leaving their Jobvite account. Candidates receive HackerRank Test invites directly from Jobvite, and after they've completed the Test, their scores and performance data is automatically available for evaluation in their Jobvite profile. This article describes the detailed integration steps, the configurations required in both the applications and how you can use the integration to automatically trigger HackerRank Test invites to Candidates from Jobvite. You can also refer to troubleshooting tips and FAQs. You must own an Enterprise plan with a Recruiter license. You must log in as a Company Admin user. Log in using the same Company Admin user credentials to create and publish HackerRank Tests which must be accessible by Jobvite. You must have a user account. You must have relevant permissions to edit Requisitions and Candidate details in JobVite. Step 1: You must contact Jobvite support to obtain the API key and Secret which are required for the integration with your HackerRank for Work account. Login to HackerRank for Work as a Company Admin user. In the home page, click the arrow next to the user icon on the top right corner of the page, and select Settings. Click API Access and navigate to the Jobvite area. In the Jobvite API key and Jobvite Secret fields, click and add the key and secret obtained from Jobvite. In Jobvite, the integration creates HackerRank assessments related workflow steps in the Candidate object and adds custom fields in the Candidate and Requisition objects. HackerRank Test Link The URL of the test sent to the candidate. This is useful if the recruiter wants to manually resend the invite to Candidates. Verify that the HackerRank Test ID custom field is created under the Requisition object. HackerRank Test ID Edit this field to add the required HackerRank Test IDs. When you create or edit a particular Requisition, you select and assign one of the Test IDs from this field. Before you can use the integration to trigger HackerRank Test invites from Jobvite, you must create and publish the required Tests in HackerRank for Work. Log in to HackerRank for Work using your Company Admin user account. Create and publish the HackerRank Tests based on the specific job roles or technical skills expected in Candidates. Refer the articles in our Knowledgebase to know how to create and publish Tests in HackerRank for Work. In Jobvite, you must associate the HackerRank Test IDs with Requistions. Therefore, note the IDs for the required HackerRank Tests. Click Tests and open the required Test. Look for the 5-6 digit number in the URL, this is the Test ID. Note this ID for all the required Tests. In Jobvite, in the HackerRank Test ID field of the Requisition object, you must add the required Test IDs. Edit the HackerRank Test ID custom field to include the Test IDs and click Save. You can then assign one of the above HackerRank Test IDs to a Requisition. For Candidate profiles associated with this Requisition, when the Workflow status is changed to "HackerRank Assessment", the event triggers invites for the HackerRank Test. 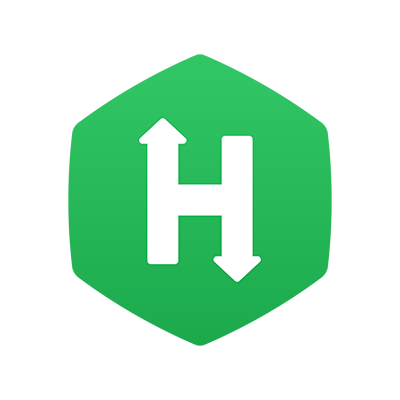 Edit a Requisition and in the HackerRank Test ID field, select the ID of the required HackerRank Test and click Save. In this manner, you can associate a particular HackerRank Test ID with all other Requisitions. Link the Candidate profiles with the relevant Requisitions containing the HackerRank Test IDs. When the Candidate is ready to take an assessment, change the Candidate Workflow status to "HackerRank Assessment". The candidate will receive an email invite with a link to the Test for that specific requisition. Once the Test is completed, the report will be automatically updated in the Candidate record in Jobvite. View the Application Details section of the Candidate profile to note any issues encountered which failed to send the Test invite. Not Invited. Email address is not valid for this candidate Verify that the Candidate's email address is valid. Add an alternate email address and try changing the workflow status again to "HackerRank Assessment". Not Invited. Email address is missing for this candidate. Ensure that the Candidate's profile has a valid email address. Test ID is missing for this requisition/No such test exists. In HackerRank for Work, ensure that Test ID linked with the Requisition exists and is a published Test. Not Invited. Company/Test Owner in HackerRank does not have permission to invite candidates. Not Invited. Company/Test Owner in HackerRank does not have permission to read the test. In HackerRank for Work, ensure that the Company Admin user account is set to "Recruiter" type, and has the required permissions to send invites. Not Invited. Inviting Owner's HackerRank Account is not activated. Ensure that the HackerRank for Work user's account is activated. After the Test result is initially synched if I change score in HackerRank, will it be synched back to Jobvite? A change in the status of the test report - for e.g. from Completed - Evaluation Required to Completed - Failed. I moved a candidate to the HackerRank Assessment state, but the candidate has not yet received the email. Why? The HackerRank servers poll the Jobvite servers once in 60 minutes. So in the worst case, your candidate can take up to one hour to receive the invite email. Who is treated as the inviting recruiter if invited through Jobvite? At the moment the owner/creator of the test is treated as the recruiter inviting the candidate. Can we use a custom template that is saved on HRW? No, there is no way to specify a saved template to be sent to the candidate. The HackerRank for Work default template will be used.